Get your players to play more poker by letting them sign in using their e-mail address! Image 1. Everest Poker’s registration form. Often poker players play on many different sites from time to time. You can help your players to start playing faster by letting them sign in using their e-mail address as their username. 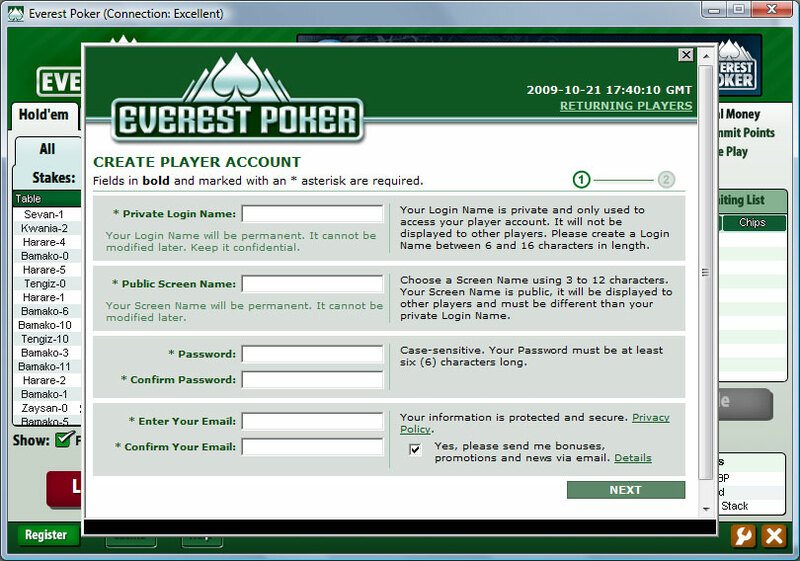 Today I registered on Everest Poker and there I had to come up with a new username since my regular ones were already taken. is much easier to remember your e-mail address than a username for a portal/poker site which you might not visit more than a couple of times a month or even less. From the operators point of view this will mean that less players request new passwords and get in touch with support. This in the end means that players play more poker and operators get more revenue. It is a win-win situation!